Hoosier State Chronicles is bringing about 50,000 pages of the South Bend News-Times online. Here’s a short history of one of northern Indiana’s greatest papers. 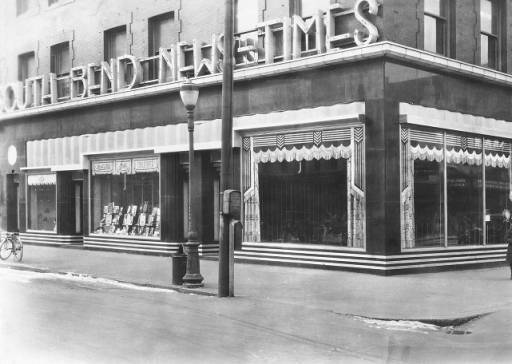 The News-Times was formed on June 2, 1913, from a merger between the South Bend Times and the short-lived South Bend News. The Times had been in operation under several names since it was founded in 1881 by editor Henry A. Peed (1846-1905). Peed had his start in southern Indiana. A graduate of Franklin College and a major in the Civil War, around 1870 he was editing the Martin County Herald in the small town of Dover Hill near Loogootee. After coming to South Bend to found the pro-Democrat Times, Peed quickly sold out to John B. Stoll and moved to Saline County, Missouri, where he became editor of the Sweet Springs Herald. John Stoll (1843-1926) was a true “rags to riches” American success story. Born in Württemberg, Germany, Stoll came from a well-off landowning family. His luck changed, however. His father drowned in the Nurg River when Stoll was a child and his mother lost most of their property after her remarriage. By 1853, Stoll’s mother decided to go to America with her 10-year-old son. The two emigrated to Harrisburg, Pennsylvania, where they lived in poverty. She died two years later. Stoll barely spoke any English at all. Orphaned in a foreign country at age 12, he struggled to survive by working as a pin boy in a bowling alley and peddling peppermints, pins, and needles on the streets of Harrisburg. Fortunately, the teenage peddler quickly found a wealthy benefactor who encouraged him to go into the printer’s trade. Stoll’s benefactor was no less than Margaret Brua Cameron, wife of General Simon Cameron, U.S. Senator from Pennsylvania. Like John Stoll, Simon Cameron had been orphaned at age nine. He apprenticed to a printer at the Northumberland Gazette in about 1808 and went on to become the State Printer of Pennsylvania in the 1820s. Cameron succeeded in politics, though he was famous mostly for his corruption. After serving as U.S. Senator, he became Lincoln’s first Secretary of War and briefly U.S. Minister to Russia. Helped by the Camerons, John Stoll managed to buy his first newspaper – the Johnstown Independent Observer – at age 17. That paper failed due to rising prices during the Civil War. Stoll married Mary Snyder and in 1865 moved with her parents to Noble County, Indiana, where he helped establish the Ligonier National Banner, a major Democratic journal in the Midwest. Newspaperman, Indiana politician, and German-American John B. Stoll. Stoll went on to found the Press Association of Northern Indiana in 1881 and the Times Printing Company of South Bend in 1882, which took over daily printing of the South Bend Daily Times in 1883. The Times took on Stoll’s character as editor. 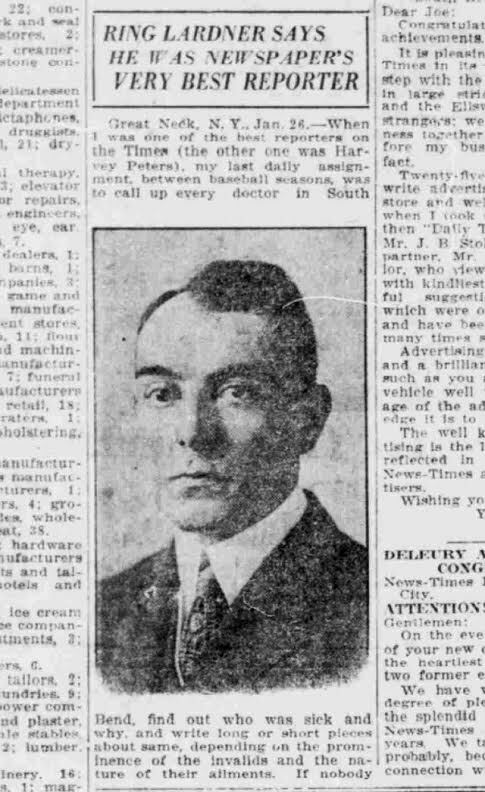 A historian of the Indiana Democratic Party and of St. Joseph County, and one of Indiana’s most prominent Germans, Stoll eventually sold the Times to the News-Times Printing Company in August 1911. This new company was headed by Gabriel R. Summers, who had also published the News from 1908 until merging it with the Times on June 2, 1913. Summers was born in 1857 in New Carlisle, Indiana, and graduated from the University of Notre Dame at age 16. The son of an Irish farmer, he went into farming and sold agricultural implements in South Bend and Walkerton. 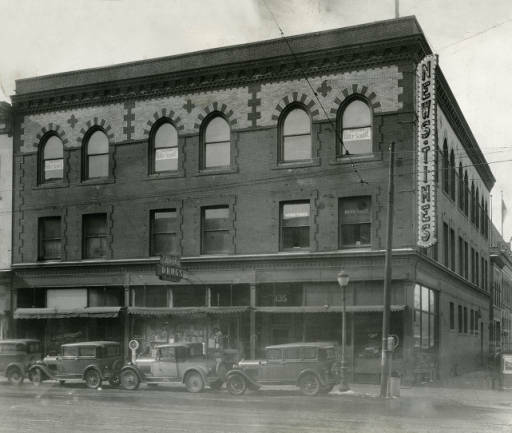 In the 1890s, Summers entered the pharmaceutical business, eventually heading the Vanderhoof Medicine Company. He served as Indiana state senator and was a prominent South Bend businessman. Reportedly a millionaire from his pharmaceutical investments, he died in August 1920. 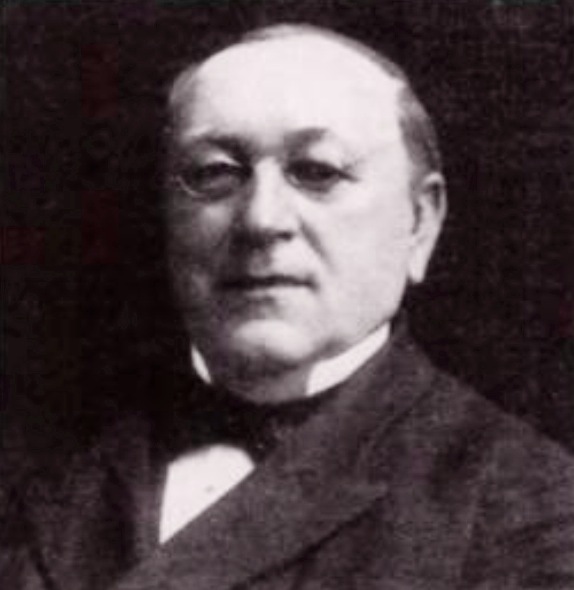 His son-in-law, 23-year-old Joseph M. Stephenson, took over as owner of the paper. 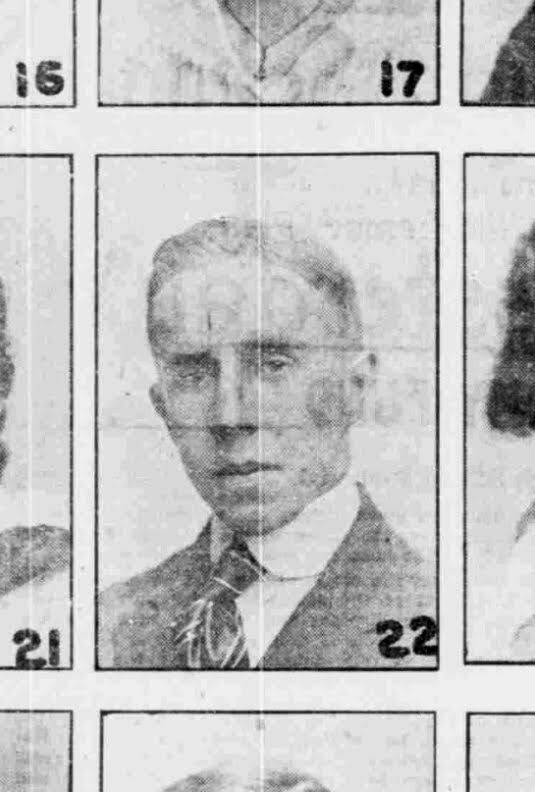 Editors of the News-Times included John H. Zuver (1913-21), Boyd Gurley (1921-1926), Joseph M. Stephenson (1926-27 and 1933-38), Sidney B. Whipple, McCready Huston, and Fred Mills. Boyd Gurley moved on to The Indianapolis Times. He was that paper’s editor when it received a Pulitzer Prize in 1928 for helping to undermine the Indiana branch of the Ku Klux Klan under its Grand Dragon, D.C. Stephenson. A Progressive, Gurley attended the funeral of labor leader Mother Jones in 1930. A 1921 advertisement in Printer’s Ink states that the News-Times publishes “morning, evening, and Sunday editions” and “blankets the territory with 17,000 daily and 18,000 Sunday circulation.” (South Bend in 1921 had a population of about 70,000 people.) 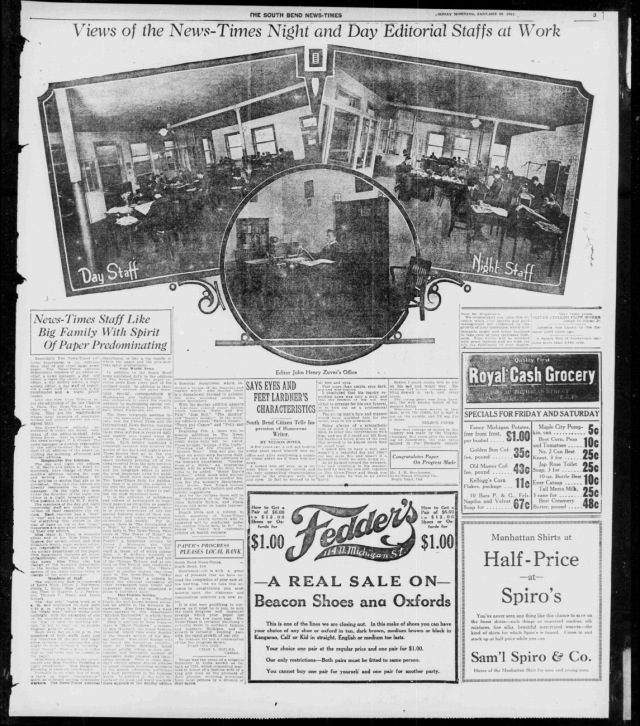 To increase profit, the paper tried to appeal to merchants, since the city was “the shopping center for Northern Indiana and Southern Michigan.” A 1921 ad in Editor & Publisher announces that the paper carried 8.6 million lines of advertising in 1920. News-Times editor Joseph M. Stephenson was featured in a mock version of the paper, published in a 1922 booklet promoting the city’s commerce and industry, South Bend, World Famed. The News-Times began as a twice-daily publication but became a daily in 1927. Although it reached the peak of its circulation in 1937 during the closing years of the Great Depression, the paper was haunted by financial difficulties and went out of business on December 27, 1938. Its last issue includes a note from Stephenson stating that it had been published at a loss since 1931. Actor and erstwhile News-Times reporter Charles Butterworth (pictured at left with Una Merkel in The Night is Young, 1935) was a graduate of South Bend High School and the University of Notre Dame. 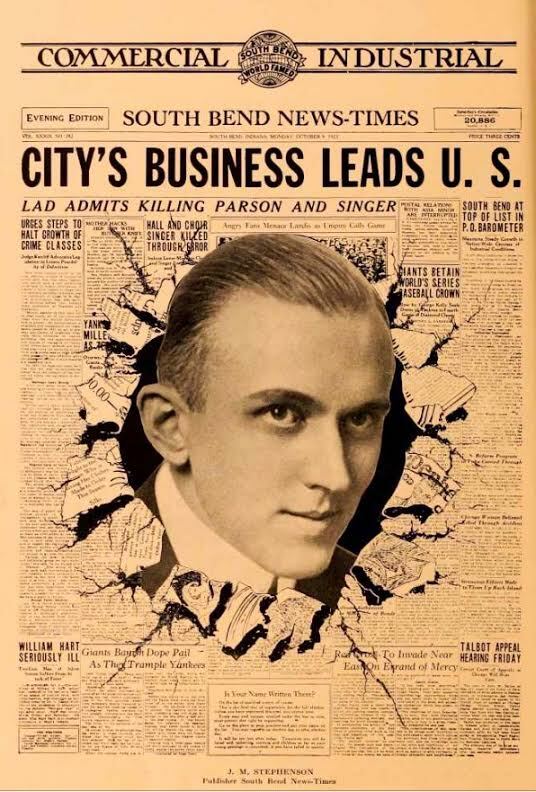 The paper and its immediate predecessors also helped launch the career of the great American sports columnist and short-story writer Ring Lardner and author and cartoonist J.P. McEvoy, best known as the creator of the Dixie Dugan comic strip, popular in the 1930s and ‘40s. 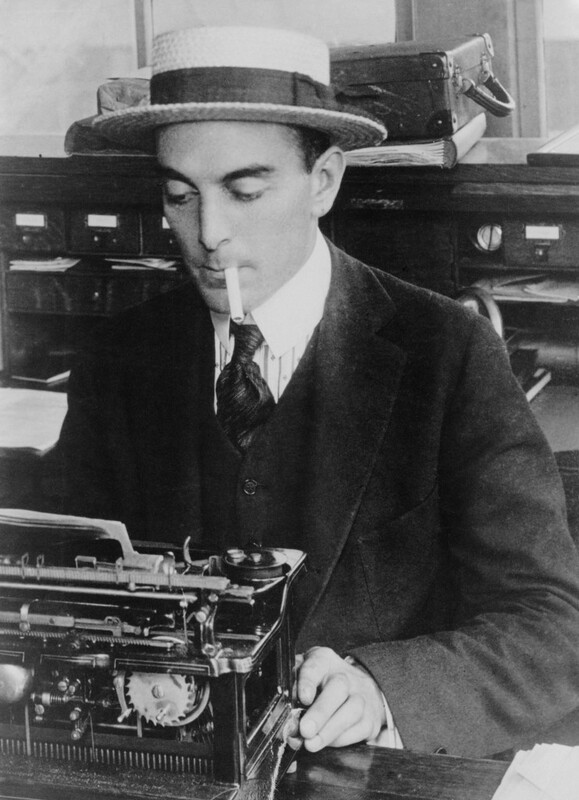 Ring Lardner, comic sports writer, had one of his first jobs writing for the News-Times. 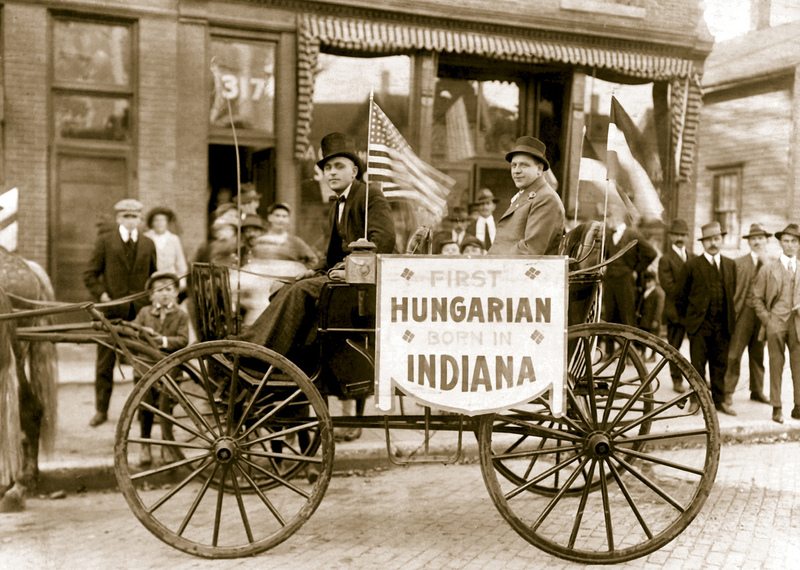 Many of South Bend’s Hungarians and Poles had come here to work in the burgeoning auto industry, as the city was home to the Studebaker and Oliver factories. (It was also home to Notre Dame, the greatest Catholic university in America.) Hungarians, like Germans, were under suspicion during World War I, when their homeland still formed part of the Austro-Hungarian Empire. In the closing year of the war, the News-Times reported on a possible American Hungarian Loyalty League opening up in South Bend. 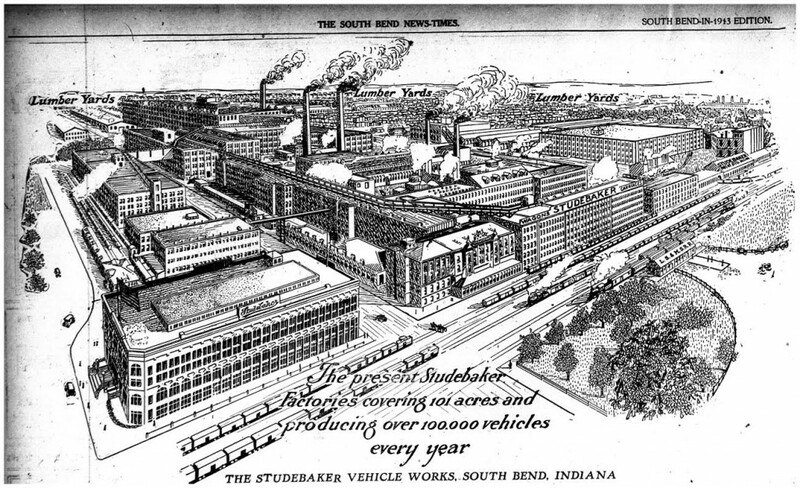 Studebaker Vehicle Works, South Bend, Indiana. News-Times, July 18, 1913.